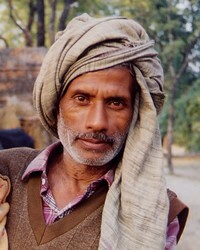 The Bihari people migrated from India, specifically the state of Bihar. Bihar is home to many different ethnic groups. Besides India, Bihari are from Pakistan, Nepal and Bangladesh. The Bihari speak Bihari languages such as Magahi, Bajjika Maithili, Standard Maithili, Bhojpuri, and other local dialects as well as Hindi. Although the Bihari speak several dialects, the most common is Bhojpuri. Bhojpuri has very little written literature. As a result, Bihari culture is filled with many oral folk tales. Apart from their entertainment value, these oral folk tales provide insight into the present and past traditions and culture of the region from which the Bihari originated. Although Hinduism is the majority religion of the Bihari people in India, North American Bihari adhere to Sunni Islam. The majority of educated Bihari Muslims formally speak Urdu, while in the vernacular speak in the Bihari dialect. Pray that God will raise up prayer warriors for the Bihari people. Ask the Lord of the harvest to call out workers to engage the Bihari people. Ask the Holy Spirit to soften the hearts of the Bihari towards Christians so that they will be receptive to the Gospel.